Please do take part in this amazing challenge hosted by Natascha! I am really excited, hope you all are too! Here is my next challenge! I am really looking forward to this one! 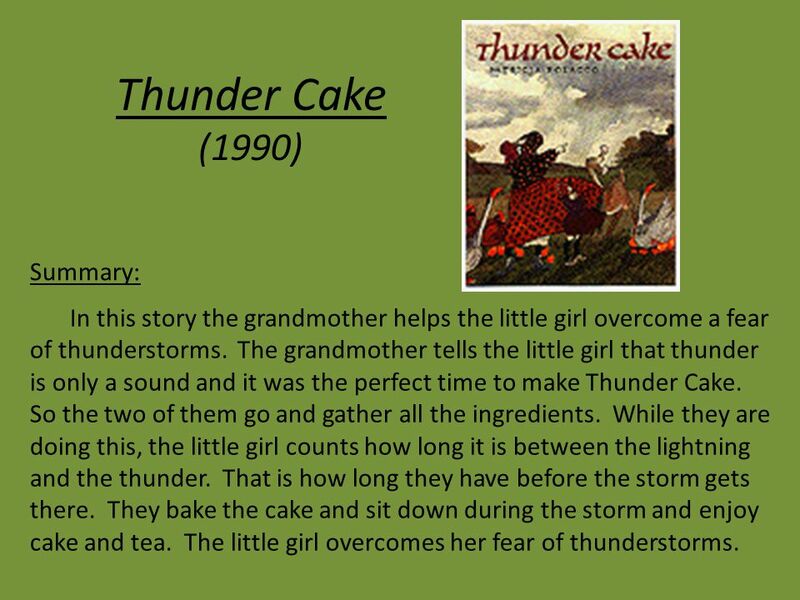 So, the question may arise, ¨What is Thunder Cake?¨ It is a cake that is mentioned in a story by the same name by Patricia Polacco. Here is a summary of what it is about! It is a beautiful book and it is based on a true story. In the end the Russian grandmother reminds her granddaughter of all the times she was brave throughout the story. I love the illustrations and at the end of the story, there is the recipe in order to make your OWN thunder cake! Previous Post The Surprise- April Challenge!